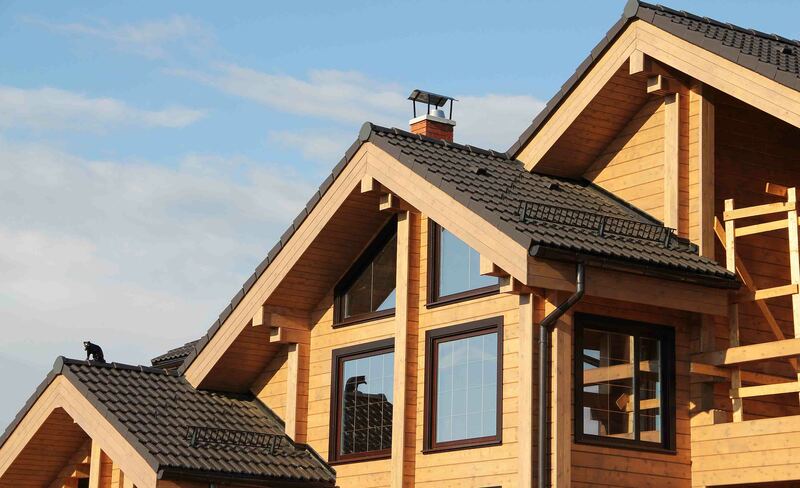 Vinyl siding for homes comes in all shapes, sizes, and textures. Building technology has infused these options with functionality as well, not only do they look good, but they are available in energy efficient, water resistant, easy to install options that increase the value of homes. A high-end home can benefit from quality vinyl sidings in both value and protection. Contact us today for a free estimate with one of our team members. In addition to landscaping enhancements, good looking siding is the best way to improve a home's curb appeal. Siding is an inexpensive alternative to other remodeling projects, and it has an estimated ROI of almost 72%. 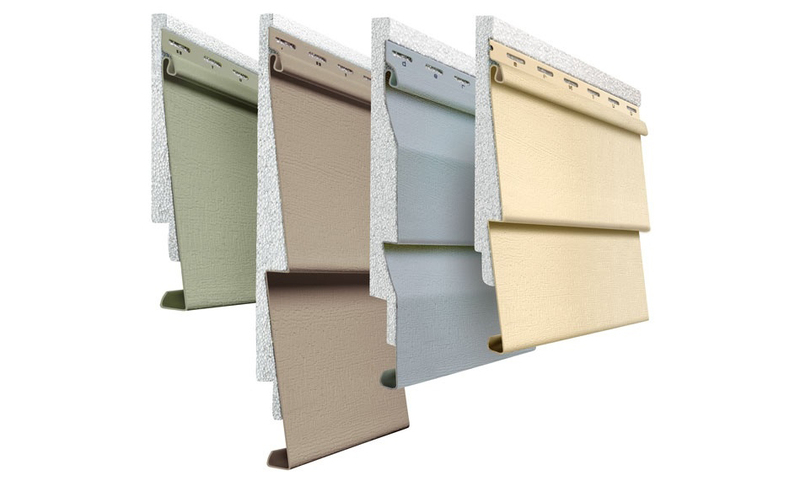 Vinyl siding comes in a variety of finishes. Some offer the appeal of traditional wood siding without the high maintenance involved, and others offer decorative touches like ornamental scalloping. It also comes in a variety of sizes and applications, with wide or narrow boards and vertical or horizontal patterns. A good siding manufacturer, like Top Quality Contractors, will carry an array of siding colors to further enhance aesthetics of the home. With a good siding design plan, homeowners can expect functional beauty and a boost in value for years to come. Gone are the days when vinyl siding was like simply wrapping a home in plastic. Years ago, homeowners were wary of vinyl siding as it can easily mask problems with leaks in the walls and other hidden issues. Now, improvements in the industry have allowed for siding to be just as protective as traditional materials, if not more so. The chemical that is used to make siding, polyvinyl chloride (PVC) includes additives to reduce fading and protect it against sun damage. Standards are regulated by the American Society of Testing and Materials to ensure appropriate thickness and protective values. A higher thickness will stand up to wind loads, hail, and any other elements nature throws your way. Insulated siding products will provide additional coverage beyond that of the insulation in walls alone. Working like a blanket over the walls, it keeps in warmth in the winter, and cool air in the summer, saving homeowners up to 25% in energy loss. Bad installation with low-end materials can cause significant damage. If vinyl is improperly installed, it can result in leaking, especially if it's not insulated. Unfortunately, a leak due to improper installation may be hard to detect because it is encased in plastic. 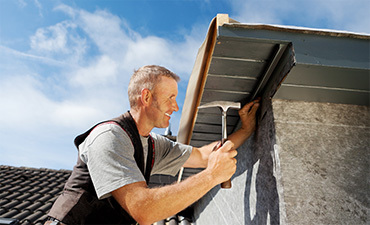 Poor installation can also lead to siding peeling off during windy conditions, which may cost just as much to repair as the original installation. Lastly, if low-grade siding is installed, the minimum thickness will not be able to withstand the elements as well. Without UV protective coatings, the siding will fade and deteriorate much faster than high quality, reinforced siding. Choose Top Quality Contractors for quality siding installation and rest assured you will not have to deal with any of these problems. Are they licensed? What are their certifications? Do they offer a wide variety of high quality siding options? Is the thickness of the vinyl above the minimum .035 inches? Is the siding insulated? Is the company willing to offer advice on which siding is best for the home? Are they knowledgeable about aesthetics like ornate trims and colors? Does the siding, and the installation of the siding, come with a warranty?